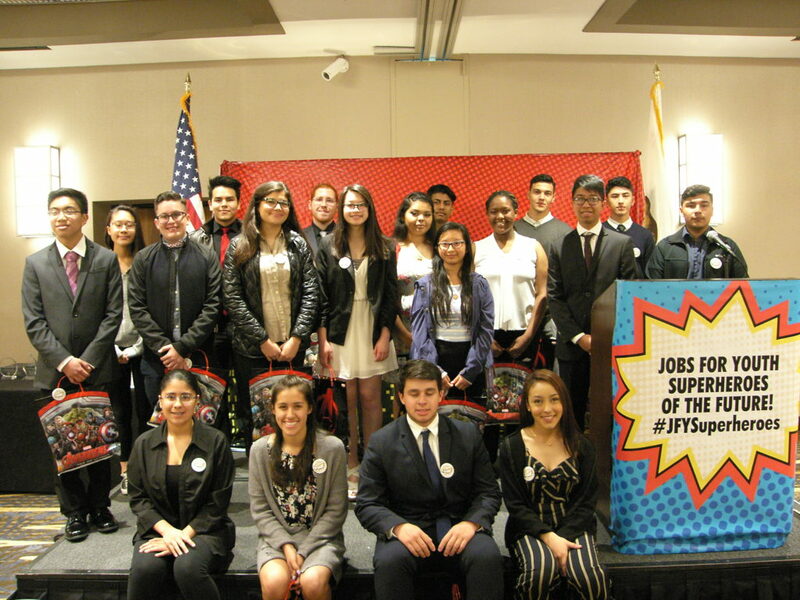 On May 24th, the County hosted the Annual Jobs for Youth Breakfast at the Crowne Plaza Hotel in Foster City. This Annual Breakfast funds the Al Teglia Jobs for Youth Scholarship Fund that was started in 2005. The Scholarship Fund provides vocational and college scholarships and this year the County awarded $30,000 in scholarships for 20 amazing students. The theme of the breakfast was superheroes of the future. Since its inception, the Al Teglia Jobs for Youth Scholarship Fund has awarded $229,000 in scholarships to resilient youth from marginalized communities. The Human Resources Department is excited to maintain the legacy of this program because it continues the County’s vision of developing, growing and supporting the next generation of talent. The inspiring event was a wonderful success! There were speeches by former JFY alumni as well as awards in memory of one of the JFY Workgroup founding members, Carolyn Livengood. A special thank you goes out to Supervisor Pine for being the Honorary Chairperson and Donna Vaillancourt who served as emcee for the event.